We are excited to offer this program to our patients. 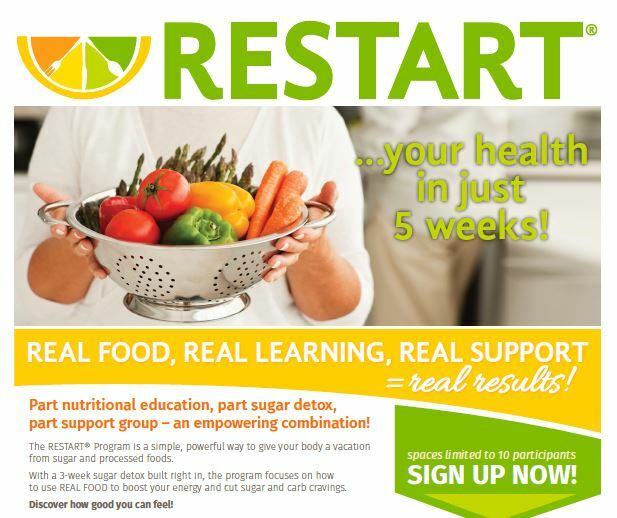 The RESTART® Program is a 5 week nutritional program with a 3 week sugar detox built in. Join Hannah Wright, NTP for an insightful and educational experience as well as the opportunity to give your body a break from processed foods! The class will meet once a week to learn about topics such as blood sugar regulation, digestion, and healthy fats. Price: $200.00 for all five classes! This price is decreased if you participate with a group. Get Inspired and follow Hannah Wright on Instagram! Call us today at 423-760-4880 to enroll!